Fit3D Body Composition Scanner — CrossFit Downtown Santa Ana - Best CrossFit Gym in Downtown Orange County! GET YOUR FREE BODY SCAN TODAY! Fit3D is the new standard for monitoring you progress inside, and outside, of the gym! A quick 35 second scan gives you accurate body measurements with detailed fat mass & lean mass percentages, as well as a 3D viewing of how and where your hardwork is paying off! 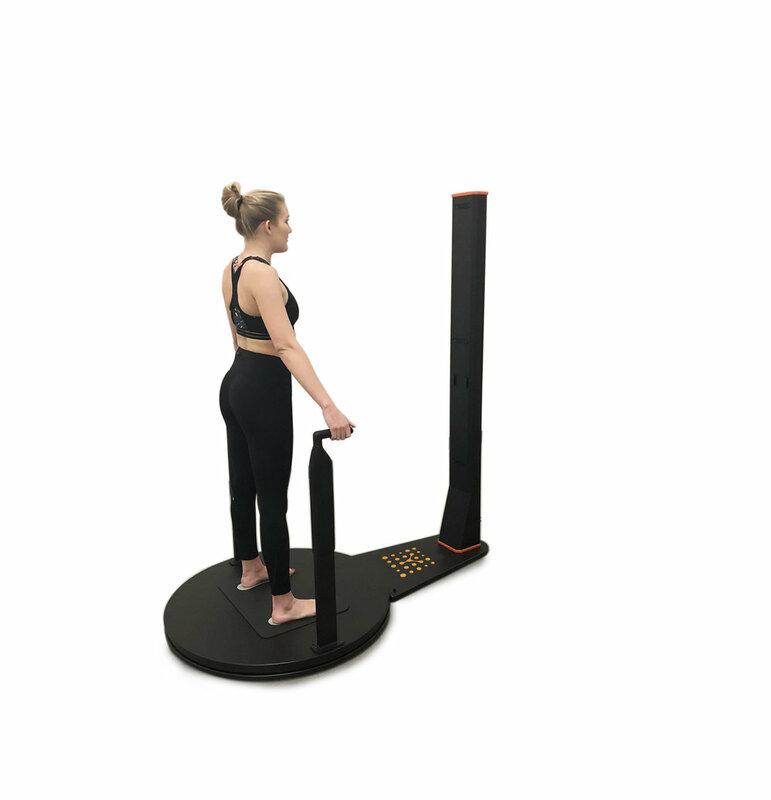 Fit3D Proscanner is a powerful 3D body scanner and reporting engine designed to provide the most comprehensive wellness assessment for our clients, with a full body analysis that tells you everything you need to know about your personal health and wellness. The data returned from this simple assessment helps our members understand their health and bodies in ways that were not as easily accessible before. It produces a comprehensive data report including an individualized Posture Analysis, Body Shape Wellness Score, Body Composition Measurements, Fitness Level, BMR, a 3D Body Image avatar, as well as hundreds of other useful measurements. “Will this help with weight-loss and measuring overall fat loss? Of course! We like to say “you cannot improve what you do not measure”. In fact, top medical research universities use the Fit3D ProScanner to investigate several important areas of health, including morbidity, nutrition, and psychology. 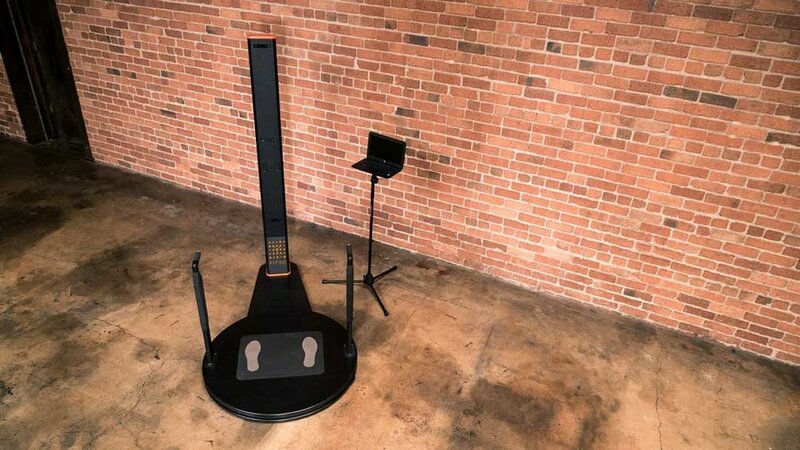 Our members who have already used the Fit3D Proscanner find that they have an easier time losing fat, gaining muscle, improving heart rate and stamina, and reaching other fitness goals. The accurate, visualized, and simple design of the Fit3D Proscanner makes it easy to understand what one's body needs and how it is changing. You will get an accurate baseline assessment for all of your necessary body composition measurements, which you will soon be able to compare side by side with other scans over time! Plus there is no limit to how many times you can scan—so you can track your progress by the day, week or month. YES! Absolutely safe. The process is simple and noninvasive: simply stand on the platform, grab the handles, and stay still as a statue for about 40 seconds. The machine will take a complete 3D, 360 degree body scan and export the data to the Fit3D software. That is it! No holding your breath in a claustrophobic pod, no dunk tank, no MRI radiation, no hydration level variances—just stand still for 40 seconds and get a comprehensive report emailed to your phone in minutes! The technology uses a special type of camera to project infrared light onto your body. This light looks like a web of dots that is imperceptible to the human eye, but clear as day to the camera’s processor! This processor determines measurements from the displacement of the dots on your body. These measurements are so precise that there is only half an inch (max) of OVERALL variance between scans. Digital measurements on the surface of the body are then taken that replicate a tape measure, but are without the imprecision of human factors. Additional measurements, such as volume and surface area can be calculated from the 3D model. These measurements are then used to calculate body composition. The science here is so promising that the NIH just approved a multi-million-dollar grant to two leading body composition institutes to test body scanners further. Create a free Fit3D profile online HERE. Bring form fitting clothes to change into for the scan (we scan in a completely private room), the tighter and more minimal the better. Please keep in mind that even different bra styles from one scan to the next can affect overall measurements—that is how accurate our machine is. Review and analyze the Fit3D scan report immediately with a CrossFit DTSA Coach. Login to your secure dashboard to review your results anytime—and now you are on your way to a fitter more healthier you! For starters, there is a ton of misinformation out there about body composition tests. Even more so, body fat percentage measurements and calculations become very hot button issues as everyone seems to have their preferred method of testing. Bottom line is there is NO ONE PERFECT WAY of measuring individual body fat percentages aside from scraping and weighing body fat off of cadavers. Yuck! But there are definitely different tools we can use to try and get a more accurate assessment and overall body metrics. This is where Fit3D Proscanner shines! For a further more in-depth reading visit these blog posts on “The Top 7 Ways to Measure Body Composition” as well as “The 3 Biggest Myths About Body Composition”. No. You can scan as many times as you would like in order to get the most up to date measurements and data to track your fitness progress. Signup for your FREE Initial 3D Scan and Fitness Assessment TODAY!